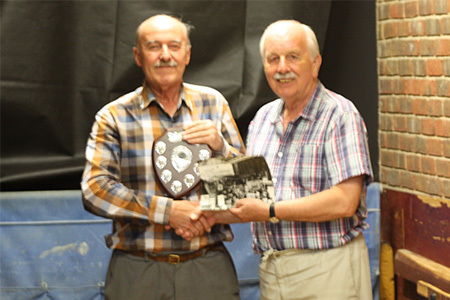 The society's chairman, Roger Marsh, presents David Rendall with the Ken Hicks Memorial Trophy for his winning entry in the 2018 Photographic Competition. The winning picture shows D1060 Western Reliance arriving at Penzance Station on 7th August 1976. You can view David's winning photo by visiting this Gallery page.